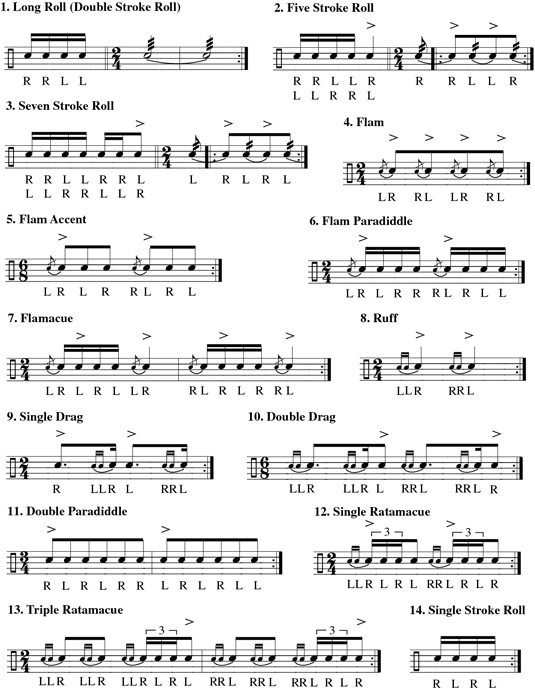 Becoming a great percussionist is more difficult than just hitting drums with sticks. 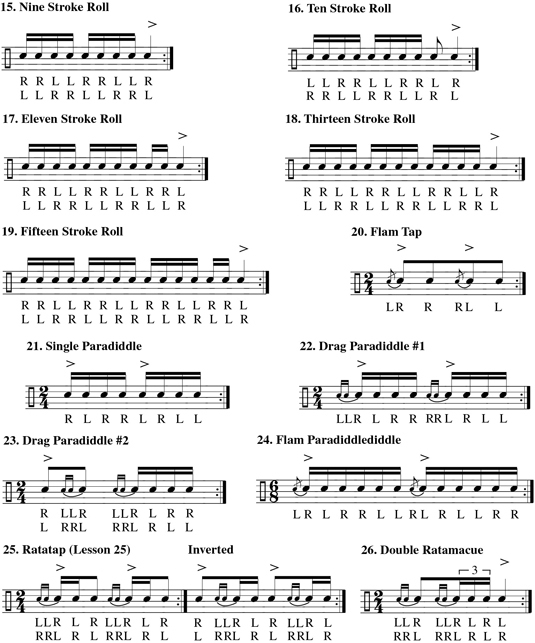 Developing your own fluid and easy style on the drums involves practicing rudiments (sticking pattern exercises) in one of two ways: with a metronome or drumming at various tempos. Set your metronome (or play along to some music) at a comfortable tempo and play steadily for a few minutes or longer. Start out slowly, gradually building up speed until you hit the maximum speed that you can play them and still be in control. Hold that tempo for a few minutes and then slowly reduce your speed until you’re back where you started. Click here to download and print a PDF of these exercises.